Baguio will always be a destination of choice during summer. The cold weather is the ultimate reason why people flock the place. Aside from the cool climate, tourists visit the iconic places like The Mansion, Burnham Park, Mines View Park and Bell's House. Baguio, the summer capital of the Philippines, will always be one of my more happy places. The flowers all a-bloom, the cold breeze, the scenery- I will not get tired returning over and over to this lovely province in the North. Sure there are a lot of places you can visit when in Baguio, but did you know there's also a theme park located inside Camp John Hay? Yes, there's Tree Top Adventure Baguio which is just walking distance from the Manor Hotel and Le Monet Hotel and just ten minutes away from Azalea Residences. 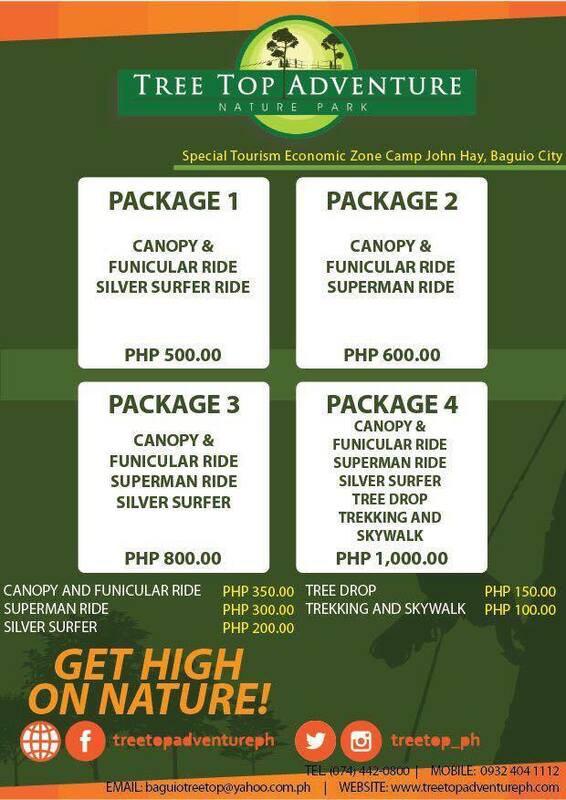 Tree Top Adventure Baguio is the only theme park in the Philippines with motorized activities plus different kinds of zip line adventure in the heart of nature: Superman, Canopy Ride, Tree Drop, Silver Surfer, Free Fall, Funicular, Trekking, Sky walk and more to be added soon. There's a one hundred pesos entrance fee at TTA Baguio. But this is deducted when you purchase any ride. Say, you want to try the Superman ride which is P350, you then get to pay only P250. There's also a team building facility here. There are facilitators that lead the program and events. Unlike other facility, at Tree Top Adventure, everything can be measured and the output and success will be coming from the effort of the whole group working together to achieve the goal. 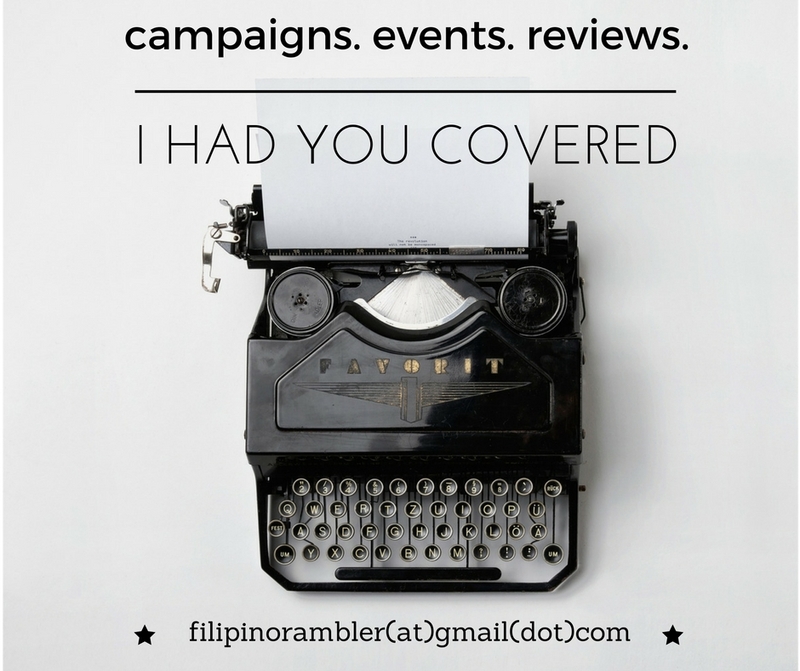 Activities can be tailored fit according to the need of the group and costs P800 or P1000 per head. 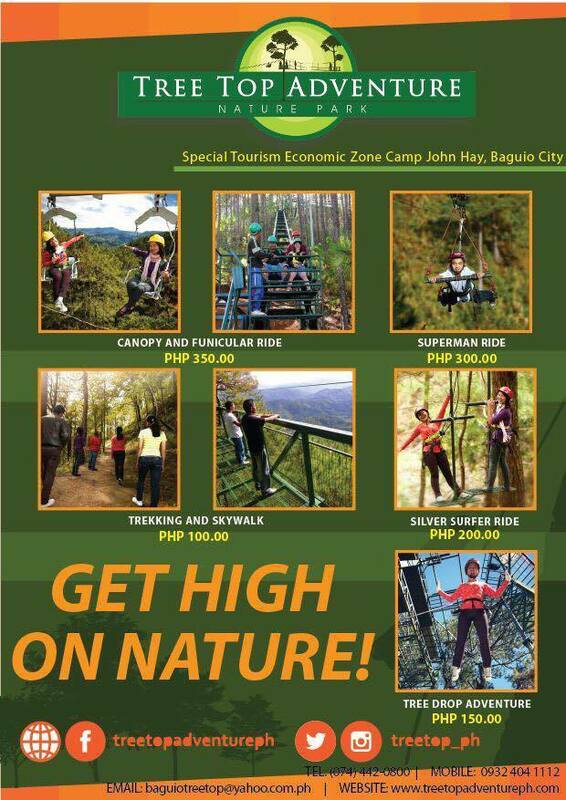 When in Baguio, make sure you drop by Tree Top Adventure and experience nature tripping from a breath taking view- from 100 feet above the ground. Find inner peace as you go through a natural sanctuary hidden by a foliage. Or take this opportunity to conquer your fear of heights. For more information about bookings and entrance, please contact Engr. Grace Bondad Nicolas at 0916 6299381 or email grace(at)tagmedia(dot)asia. 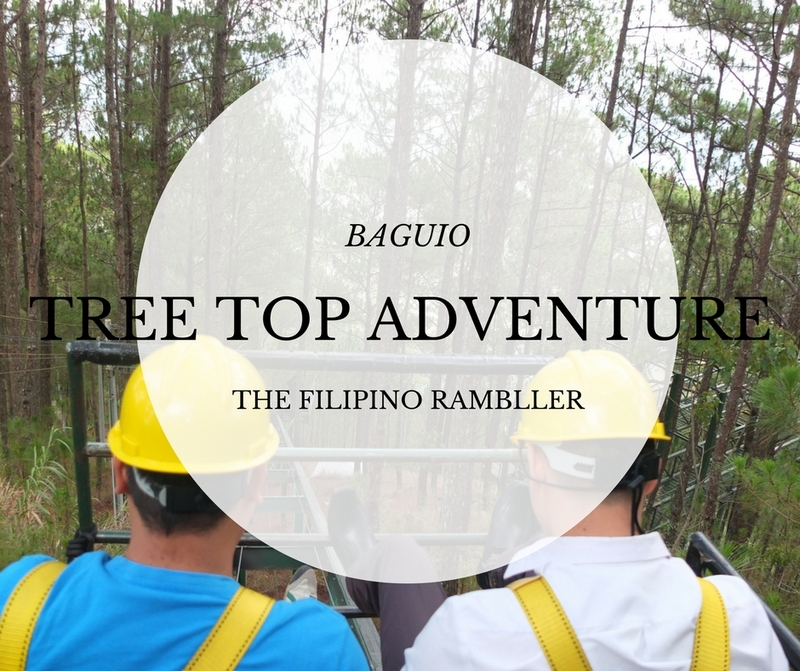 Have you been to Tree Top Adventure Baguio? What's your favorite ride there?